The “healthcare-providing” entities that I was once affiliated with, have tragically failed to emphasize or even mention – I suppose in the name of corporate profits or sheer ignorance – that the tiny bodies, tiny muscles and immature brains that are being targeted by Big Pharma to receive sublethal doses of a toxic brew of chemicals and other substances (particularly mercury, aluminum and live viruses). America’s over-vaccination agendas is making a lot of money for any number of compassionless corporate entities who never had to take – or don’t feel compelled to honor – the Hippocratic Oath. And thus those innocent babies and children, who are physically, neurologically and immunologically immature are a perfect set-up for serious, brain-damaging and other lethal complications that manifest in any number of chronic vaccine-induced (and thus iatrogenic) disorders that the guilty vaccine industries will go to any lengths to cover-up. The parents of vaccine-injured or killed children are justifiably angry for a lot of reasons. Their demands for justice for their injured children are understandable and unquenchable. Just listen to the hundreds of testimonies from parents on the VAXXED YouTube channel. These parents with horror stories about vaccine injuries are consistently stone-walled by those entities that recommended or administered the vaccines that caused their children’s wounded bodies and brains. Those responsible entities frequently went into denial or actually attacked the parent for being so bold as to even mention the possibility of an iatrogenic injury. It was bad enough for parents to come to the logical conclusion that the potentially lethal vaccine ingredients had damaged their children, but they were often humiliated by their previously trusted physicians and clinics who refused to listen to their heart-felt testimony or to pay attention to the research they had done confirming their suspicions. And then, adding more fuel to the fire, these newly-discovered-to-be-untrustworthy physicians and clinics sometimes had the audacity to fire those traumatized families and ban them from receiving future care! Those physicians and clinics had, to their eternal shame, forgotten about the truism that said: “hell hath no fury like a woman scorned”. For these traumatized parents, their hell began when they witnessed their previously developmentally well child become seriously ill with an illness that might continue for the remainder of their disabled lives. Most parents are dubious about allowing their children to be injected with 8 or 9 (untested for safety) intramuscularly-injected antigens at one setting, but no discussion about adverse effects is allowed. If there was an adverse effect many parents logically went searching for information about vaccine toxicity, which their physicians usually knew nothing about, refused to even check out the possibility and therefore were worse than useless in the search for an accurate diagnosis and thus an effective treatment. Tragically, modern, over-busy, double-booked physicians can’t find the time or energy (or inclination) to read any medical journals other than the ubiquitous freebie journals and Big Pharma subsidized medical journals. Even previously prestigious journals like JAMA, NEJM, etc are allowing Big Pharma “mercenaries” to get their pseudoscience published. The money behind Big Pharma’s advertising gives for-profit corporate entities the influence to promote their toxic drugs and vaccines. Sometimes vaccine injuries only became manifest in a delayed fashion months or years after the “mandatory” 2 month, 4 month, 6 month, 12 month, 15 month, and pre-school shots. Sometimes the injuries happen the same day or even in the doctor’s office immediately after the inoculations. When the adverse reaction happens quickly, parents resent the typical lame explanation of “that was just a coincidence” or “that is just normal reaction, nothing to worry about”. Sometimes the adverse reactions from vaccine toxicity only manifests after the second or third Gardasil shot. Sometimes the adverse reactions happen within hours or days. There are many examples in the literature of Sudden Infant Death Syndrome (SIDS) that killed previously well babies within hours of the last batch of shots. There are also many examples of “near SIDS” episodes or new onset of a chronic seizure disorder soon after the last shot. Some SIDS episodes have been erroneously called “shaken baby syndrome” because the toxic vaccine ingredients cause chemical and inflammatory trauma to the brain that resembles cerebral contusions. What has often been frustrating for parents of vaccine-injured children is the fact that the mainstream media – also seriously under the influence of Big Pharma’s wealthy and influential advertisers – have never allowed Big Pharma’s skeptics or Big Pharma’s victims to be heard. The media is naturally concerned about the money that could be lost when a big advertiser expresses discontent about news programming that could be critical to their products. That reality has silenced many journalists that ordinarily would love to do some real investigative journalism. Economically-powerful and politically-powerful entities like the multi-millionaires and corporations that are associated with Wall Street, Big Pharma, Big Oil, Big Business, Big Agribusiness, Big Chemical, Big Insurance, Big Weapons, etc usually get whatever they want. The corporations represented in those categories have unlimited amounts of money and well-cultivated, albeit unholy relationships with easily-bribed state and federal legislators. That has resulted in a multitude of pro-corporate laws getting on the books which makes it too easy to commit crimes against humanity and then cover-up those crimes, with no attention from the equally corporate-controlled and deeply co-opted mainstream media that therefore black-lists anti-Big Pharma scholars. 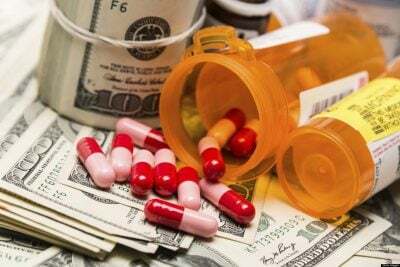 There are unlimited numbers of minor mercenary entities beholden to Big Pharma that create the propagandistic televised drug commercials and the advertisements in popular medical journals that seem to be widely trusted by their target audiences. And then there are the dozens of powerful physician trade and lobbying groups, which includes the AAP, the AAFP, the AMA, ACOG, the APA, etc, etc, that are all subsidized and therefore influenced by Big Pharma money. 2) the FDA’s Vaccines and Related Biological Products Advisory Committee (VRBPAC) information. The membership list of the ACIP is printed in the appendix at the end of this column. Each of these committees is made up of well-paid, un-elected, academic professionals, bureaucrats and, in in the case of the (VRBPAC) two non-voting members that are employed by two Big Vaccine corporations (Sanofi and GSK). Why they were ever appointed to the committee in the first place is undisclosed, but they surely try to be influential as they can for their industry. These committee members have been, just like most physicians in the US, heavily indoctrinated in the belief that all vaccines are safe and effective. The more powerful members of the group may even become hostile when their dogmas of vaccine safety and effectiveness are challenged. The members would be expected to be unapologetic when faced with the truth that vaccines are “inherently unsafe” and can even be deadly. Many well-meaning physicians, nurse practitioners, nurses and assorted health clinic employees have been equally bamboozled, and they may even be unwitting defenders of an over-vaccination schedule that has been gradually made to be “the new normal” by sociopathic corporate powers ever since Ronald Reagan signed the National Childhood Vaccine Injury Act (NCVIA) on November 14, 1986. That law was essentially written by Big Pharma lobbyists, but it was promoted and passed by ignorant, perhaps well-meaning but likely bribed legislators and then signed into law by an equally ignorant puppet president. Each of the promoters of that law made the mistake of trusting scheming, untrustworthy lobbyists and their sociopathic corporations who have made out like bandits developing and marketing unsafe vaccines ever since. 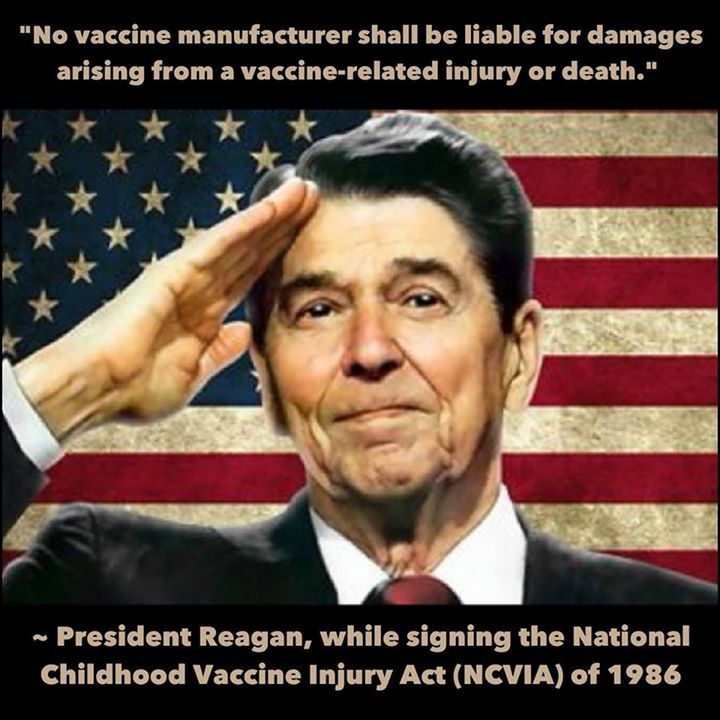 Scandalously, the NCVIA made it unlawful for parents of vaccine-injured or vaccine-killed children to sue the responsible vaccine corporations or other vaccine promoters when their unsafe vaccines harmed their children (which was epidemic prior to 1986). And ever since 1986, when the autism and childhood autoimmunity epidemics began, Big Pharma hasn’t had to spend much money on research or expensive vaccine safety measures because the use of their sometimes lethal products no longer elicit any medico-legal consequences. The CDC’s ACIP and the FDA’s VRBPAC advisory committee folks have the connections to into an attack and destroy mode similar to what has happened throughout the history of medical establishment hegemony. One only has to recall what the medical establishment has repeatedly done to altruistic, whistleblowing physicians such as Andrew Wakefield and Ignaz Semmelweis and the uncounted number of similar whistle-blowing physicians throughout history. Semmelweis proved to the world that physician hand-washing prior to obstetrical deliveries prevented the fatal childbed fever, much to the outrage of the cognitive dissonance-afflicted medical establishment who thought he was crazy and thus refused to even look at the evidence that everybody else could clearly see was revolutionary and truthful. Semmelweis was thoroughly discredited by his physician colleagues and was later beaten to death in a hospital the end-result that was directly related for his discovery that challenged the establishment (that refused to believe that hygiene had anything to do with post-delivery infections). Similarly, Andrew Wakefield was a victim of a cunningly well-planned smear campaign by the medical establishment that drummed him out of Britain when he proved that live viruses from GlaxoSmithKline’s MMR vaccine caused chronic viral bowel infections in a group of severely involved autistic children with chronic abdominal pain and diarrhea. Wakefield’s group discovery was bad news for the British vaccine giant Glaxo. That well-done research – which has been replicated a handful of times elsewhere around the world – should have earned Wakefield and his group a Nobel prize for medicine. Instead, because his findings would surely have negatively impacted future profits for Glaxo and every vaccine corporation on the planet, Wakefield had to be falsely discredited and then made an example of, even though he had exposed an important, albeit unwelcome truth. Wealth is Power, and Power corrupts. Parents of children who have not been vaccinated with intramuscularly-administered mercury, aluminum, live viruses and assorted vaccine contaminants have saved their kids from acquiring vaccine-induced autism spectrum disorders, vaccine-induced SIDS or vaccine-induced autoimmune disorders should be thankful, even if their children had a slightly increased risk of coming down with a case of measles, rubella, mumps, chicken pox, influenza or other childhood viral infection that any properly-nourished child will easily recover from. Another advantage of not being subjected to vaccination is that contracting usually benign viral infectious diseases of childhood means that the child will become immune for the rest of her life as opposed to the need to be given regular, potentially dangerous, potentially autoimmunity-inducing booster shots (that don’t always work anyway). Behind the ACIP and VRBPAC advisory committee members there are likely to be found well-hidden puppet-master and paymaster organizations may be even more guilty of being responsible for America’s on-going over-vaccination disaster. The wealth of these hidden corporate entities comes from the marketing, sales, promotion and over-use of unsafe and often quasi-experimental vaccines that are never proven to be safe or even effective. They are ill-gotten gains. Most physicians haven’t heard the real stories about the horrific autoimmunity, neurological, physical, chronic fatigue syndrome and brain-disabling disorders that have been among the worst of the many unintended consequences of the Pentagon’s ill-conceived mass vaccination campaign. Hundreds of thousands of Gulf War-era soldiers were given injections of the (un-approved-by-the-FDA) neurotoxic aluminum-laden series of six anthrax vaccine inoculations whether they were being deployed to the Middle East war zone or not. Our unfortunate but obedient US soldiers were mandated to submit to the shots or be court-martialed. Gulf War soldiers were forced against their wills – without the benefit of informed consent – to take those experimental shots. It is hard not to notice some of the ethical similarities between the Gulf War soldiers being forced to take their shots – or else – and the current Essentia Health situation for hospital employees in Duluth, Minnesota. Hundreds of thousands of mature soldiers getting sickened and/or neurologically disabled because of being injected with multiple neurotoxic vaccines is sad enough, but what about the hundreds of millions of immunologically immature babies and children that are being routinely inoculated (intramuscularly) by ever-enlarging numbers and combinations of cocktails that are often administered simultaneously with no proof of short-term or long-term safety? We physicians, nurses and clinics (and hospital staff) often have no idea what are the ingredients in vaccines. We tend to not take the time to read the wordy product information sheet. Shame on us. But what should frighten us caregivers is the fact that many of those vaccines contain ingredients that are known neurotoxins, mitochondrial toxins, cytotoxins, genotoxins, teratogens and mutagens. There are also contaminants that are occasionally found in vaccines when independent testing is done. That reality adds to what should be everybody’s concern about vaccine safety. What also frightens me is the fact that inoculation accidents can easily happen when the tip of the needle pierces and then inadvertently injects some of the vaccine directly into a small vein, where it is not supposed to go. The consequences of such accidents are not known but nothing good can happen when a toxic mix of chemicals – especially aluminum, mercury or live viruses – goes directly into the blood stream. Some victims of vaccine accidents may faint, some may vomit, some may have cardiac rhythm problems, some babies may have their first vaccine-induced seizure, some babies may die of SIDS within a day or two. Some of the vaccine toxins may go directly to the central nervous system through a leaky or dysfunctional blood-brain barrier (BBB) – a likelihood made more likely in the cases of children or young adults who place their electromagnetic radiation-emitting cell phones next to their brains or are otherwise over-exposed to other sources of wireless microwave technology, all of which are known to be toxic to the BBB. The power of the FDA, the CDC and their various subsidiaries has been acquired thanks to their cozy relationship with for-profit corporate entities that make up what is called Big Pharma, Big Vaccine and Big Medicine, whose directly- and indirectly-related entities have been largely responsible for the many vaccine-induced disorders in America.